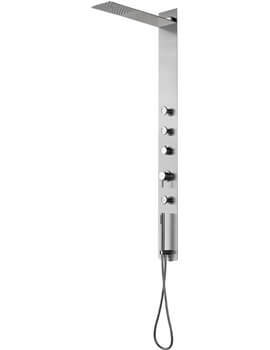 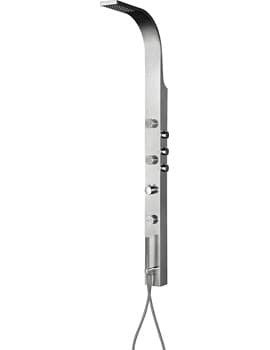 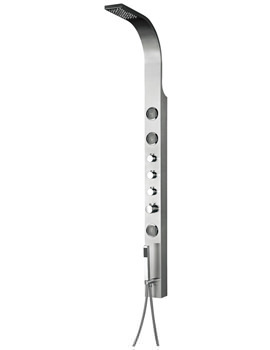 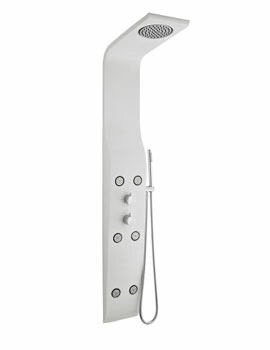 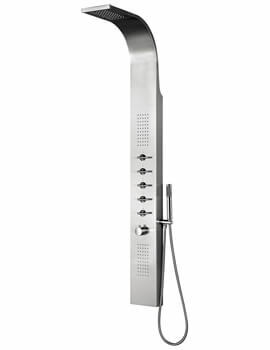 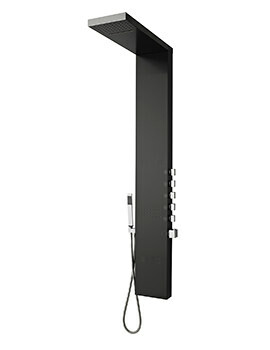 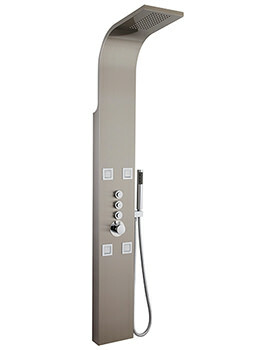 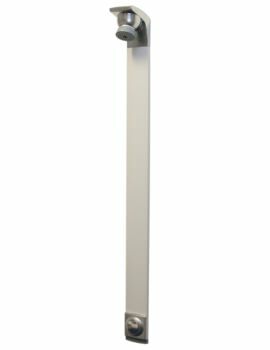 At AQVA, we are proud to introduce the most elegant shower towers. 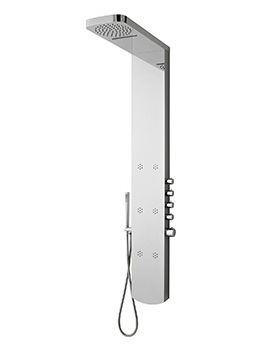 Most of these showers displayed below sport a bold right-angled column profile. 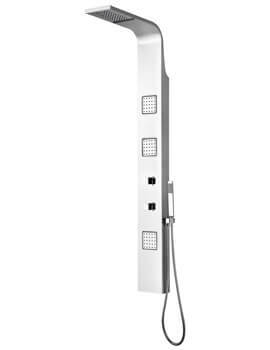 These showers offer a complete and convenient option for installation. 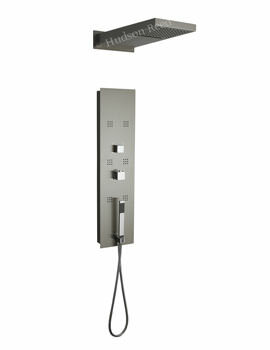 All the components are integrated into a single unit to make maximum use of space. 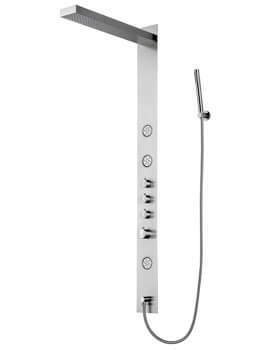 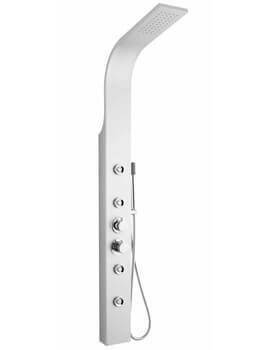 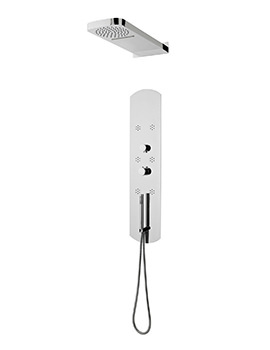 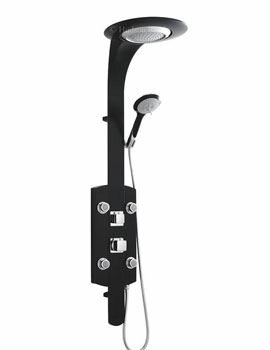 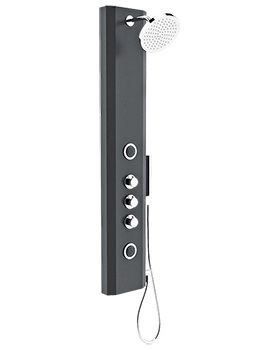 By incorporating handsets, overhead showers, body jets into the central riser column, these shower units provide a sleek and versatile solution for the shower space in the bathroom. 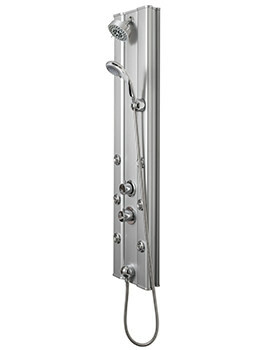 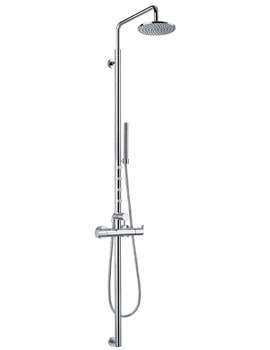 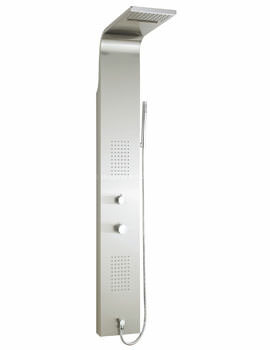 The fashionable yet classic design construction stand out from the crowd ensuring you always have a shower you love. 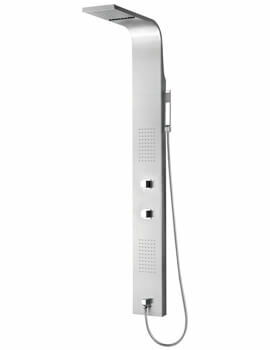 These showers also have thermostatic temperature control, which makes it a joy to use, and is ideal if you want to make sure little ones do not accidentally scald themselves. 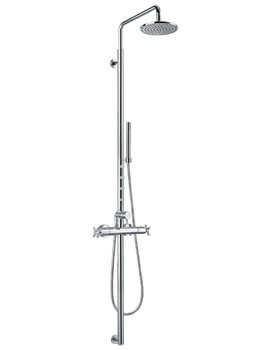 At AQVA, we offer a range of different sizes and shapes. 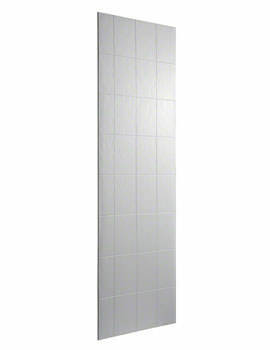 We stock shower panels that bring you the experience of your haven in the bathroom. 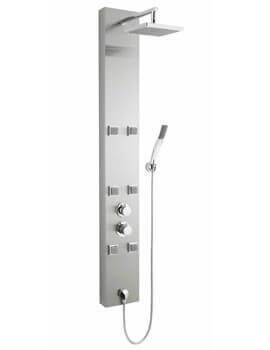 So if you are looking to add style with functionality, have a look at our series, and select the right one.